Do you ever open your wardrobe and immediately close it in horror? Is it bursting at the seams and you just can’t face having a total clear out? Don’t worry, we’ve all been there and fear not – Empatika’s pro tips for organising your wardrobe will definitely point you in the right direction. The first step is actually having a useful and functional wardrobe. Utilising space is essential in any bedroom, and especially inside the wardrobe or closet itself. If the inside of your clothing closet is well ordered then there’s a better chance that your mess won’t spill out into the rest of the bedroom. Empty your wardrobe and assess its usefulness. A good wardrobe should have loads of space for all the different types of belongings you need to store. For example, a clothing rail is essential for hanging up items but what about all the other stuff – shoes, underwear, accessories, hats, perhaps bedding or blankets. So inside the wardrobe you should also have some shelving, perhaps a shoe rack on the bottom and some drawers if needed. Those are basic essentials, but there are ways you can improve the practicality of the wardrobe. For example, instead of one clothing rail why not fit a double rail? 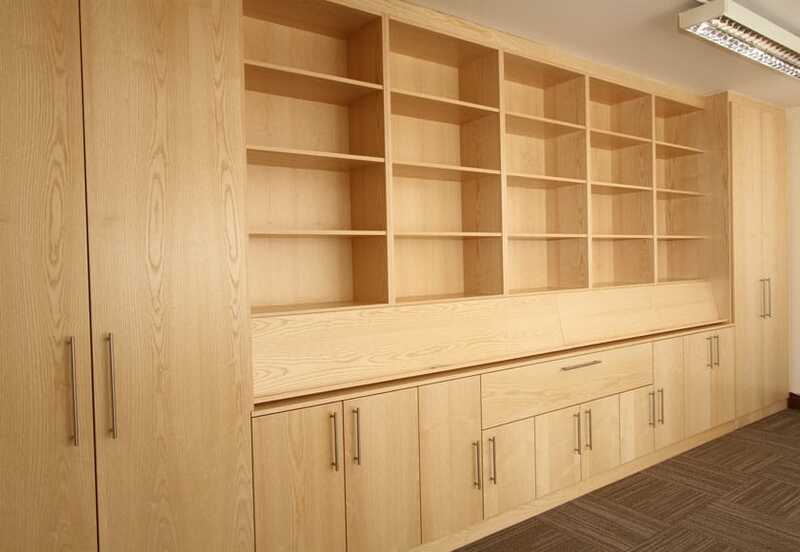 You could utilise all the space at the top of the room by having a floor to ceiling wardrobe. Have moveable rails fitted high up, which can be moved with a stick into reaching distance. The best way to have a wardrobe that meets your needs is by investing in a bespoke fitted wardrobe. Specialists can incorporate anything you need, so the closet is as functional as possible. You can build from floor to ceiling and include as many shelves, drawers or rails as you need. You can rarely get this customisation with a wardrobe bought from a store. Once you have the perfect wardrobe, it’s time to get down to business organising your wardrobe – sorting out all your clothes and shoes. Everyone needs a good clear out from time to time, and it’s actually quite uplifting once you’ve made some space in your wardrobe and purged the closet. The general rule is the 12 month rule – if you haven’t worn it for 12 months, and you can’t think of an event in the near future which you’ll wear it, then it doesn’t make the list. You may have some exceptions to the rule, such as a very expensive ballgown which you may wear again to your next formal event, or something sentimental which was a gift for example. But otherwise, get rid! Of course when we say get rid we don’t want you to throw these clothes in the garbage and contribute to growing landfill issues. Unwanted clothing can be recycled or taken to charity shops. Some of your friends may even want some of the clothing that doesn’t fit you anymore. What we want to wear in the summer differs greatly from what we want to wear in the winter, so it makes sense to separate everything accordingly. Fold up clothes that you won’t need for the next few months and store them on the shelves, or in plastic boxes. These can be moved to the back of the wardrobe, out of sight until you’ll be ready to rotate them back into your collection. This means you can easily access the clothes you’ll be needing from day to day, without having to rummage. If you want to be really organised, you can go one step further and categorise your clothing. Hang items together such as blouses, T-shirts, skirts, jeans, dresses. Alternatively you can categorise into styles, such as casual wear and formal wear, or by colour. 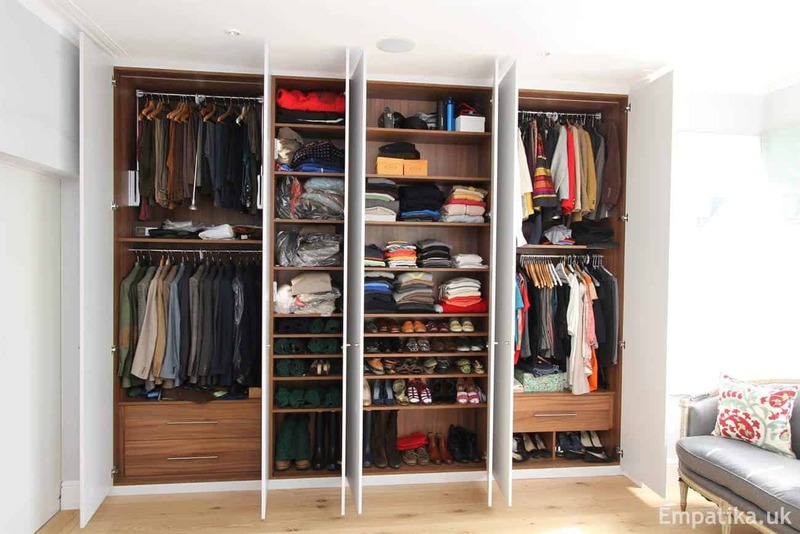 We hope these tips for organising your wardrobe help you to be much more organised in the bedroom! Visit our wardrobes gallery for more inspiration.